Philosophy: When people are determined to help themselves, business is willing to share its competence and government decides to extend a helping hand, no burden is too heavy and no goal is unreachable. 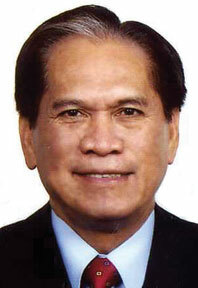 Senen Bacani’s awards include the Philippines’ inaugural Ramon V. del Rosario Sr. Award for Nation Building, Junior Chamber International TOFIL (The Outstanding Filipino) for Agriculture, SGV Ernst & Young Entrepreneur of the Year and La Sallian Achievement Award for Social Entrepreneurship. But his greatest reward has been peace. As a child, Bacani saw the rural poor pay for his physician father’s services in farm produce; decades later, as a national official, he watched them struggle to feed their families. Bacani convinced Middle Eastern firm Chiquita Unifrutti International to invest in banana farms in a predominantly Muslim area on Mindanao in 1996. La Frutera, the first large-scale banana plantation in the region, now employs 1,745 people and exports to Asia and the Middle East. It is one of the top 10 banana producers in the country and the only plantation in the Philippines certified by the Rainforest Alliance and International Organization for Standardization for environmental management. The plantation’s success has transformed the once war-torn area, employing former rebels of the Moro National Liberal Front and the Moro Islamic Liberation Front and proving that providing jobs is a sustainable way to alleviate poverty and strife. Noting that the nation has gone from self-sufficiency and export of rice, corn and sugar to importing these key staples, he advocates for increased investment in agriculture, and he works to unite cooperatives to give small farmers a stronger political voice. in what office can we reach mr. senen bacani? may we ask for email or his secretary’s number so we can send him a letter?